Not a single civilian structure can do without a roof. The basis of any roof in civil engineering is the truss system. 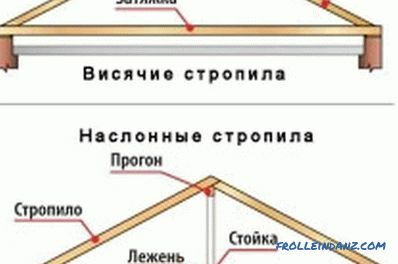 Therefore, it is very important to know the device rafters of the roof. The rafter system is calculated by experts taking into account the loads on the roof, its type, structure and expected precipitation. Types and forms of roofs and roof systems. Roofs have slopes located at different angles to the horizon, determined by the local climate, and the flight of architectural thought. Slopes are formed by truss systems, roofing and crate. At the junctions of the ramp planes, edges are formed, directed both horizontally and at an angle to the horizon. The upper horizontal ridge is called the ridge. 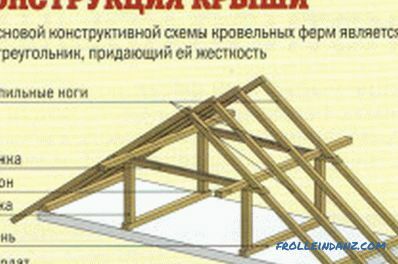 The design and method of installing the rafters depends on the shape of the roof. Figure 1. The design of the rafters. Shed roof. This is such a roof, the whole construction of which lies on 2 exterior walls of different heights. 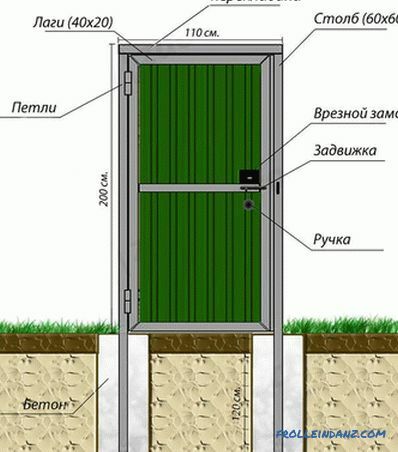 The slope of the roof, which provides a flow of atmospheric water, due to the difference in height of the bearing walls. Gable roofs. These roofs have only 2 slopes, which are supported on the outer bearing walls of the building, forming vertical triangles from 2 other sides. 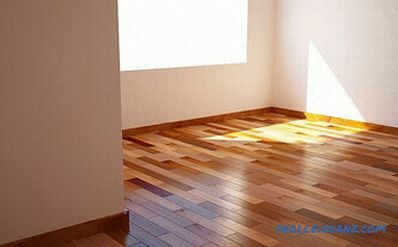 They have a wide distribution, due to ease of installation and their versatility. The four-pitch roofs, or hip-roofs, are ordinary gable roofs, but the gables in them are replaced by slopes, called hips. Mansard roofs, or broken roofs. These are the same gable roofs, but each slope consists of several sections, the slopes of which are at different angles to the horizon. 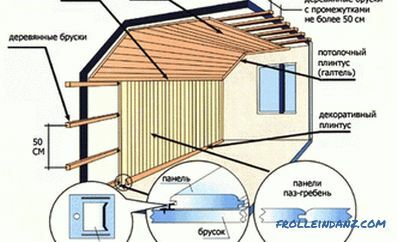 Typically, such a section 2, which makes features in the design and order of construction of the rafters of the roof. Truss systems serve for roofing over the premises of various areas and dimensions. Figure 2. Types and main elements of rafters. Rafter legs forming the roof slopes. Racks that are vertical supports. They are intended to distribute part of the roof loads on the bearing walls placed inside the premises or on the internal columns. Slopes or braces (struts) that have the same purpose as the rack, but are angled to the horizon. Tightening is an element that interconnects 2 rafter legs of one truss. Often, their functions are performed by the already installed cross beams, however, it is often set to tighten at a height from the ceiling. It is designed to reduce spreading forces applied to the load-bearing walls, which are created by the weight of the roof and are transmitted through the truss legs. Subrafter bars (mauerlat) are the longitudinal bars that lie at the top of the external load-bearing wall and the rafter legs are placed on them. 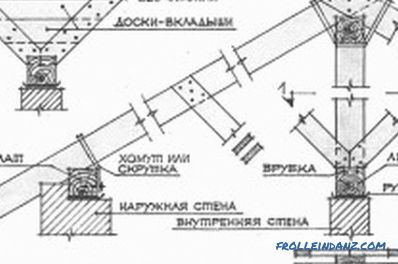 The beam that lies on the supporting wall inside the building or on the columns and on which the racks are installed, is called wood. Suspended rafters are installed on buildings in which bearing walls are erected or columns are installed. In this case, the lower support of truss legs are not only external load-bearing walls, but also supports, internal load-bearing walls. Hanging rafters rest only on the walls and on top of each other at the top of the roof near the ridge. 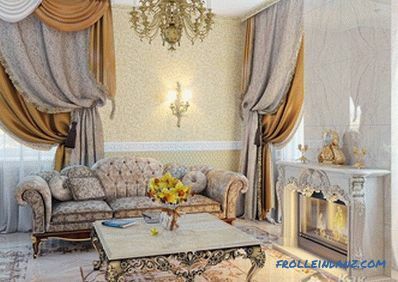 Such systems are widely used in those buildings in which there are no internal load-bearing walls, and the width of the span in them is up to 12 m. With this design, there are spacers of great importance that try to push the walls apart. In order to reduce such a load, mandatory delays are applied. The variant with triangular trusses is the most acceptable. The triangular shape of the truss system is considered more rigid. Figure 3. 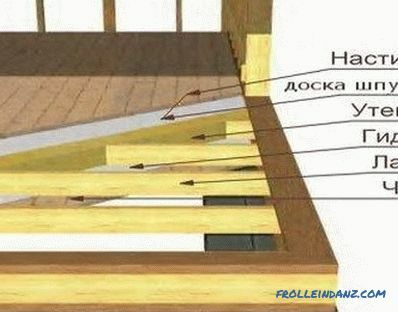 Installation method for glazing rafters. 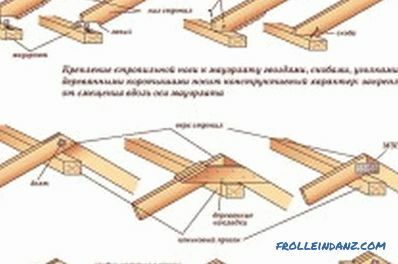 The methods for assembling the rafters depend on their type. Hangings are usually mounted on the ground and finished farms are installed on the building. First, a construction template is produced, which makes it easier to manufacture building elements. Suspended rafters are much simpler. Their installation can be made by separate elements. Installation of rafters begin with the installation of extreme elements near the gables. Then between them with a considerable stretch the twine is pulled. He pulls on the ridge in the middle of the rafters of both ramps. Mauerlat also exhibited level. Focusing on these tags, other rafters are installed. Near the ridge, the rafters are overlapped and knocked together with nails. They can be fastened with metal clips. The nails are connected to each other racks and slopes, previously cut to each other (Fig. 3). Truss legs, made of planks, are connected with other elements of the truss system by nails, and made of bars or logs are fastened with brackets (straight or revolving). With the tightening, the legs are fastened with a tie strap. Figure 4. The choice of construction of rafters depends on the width of the building. 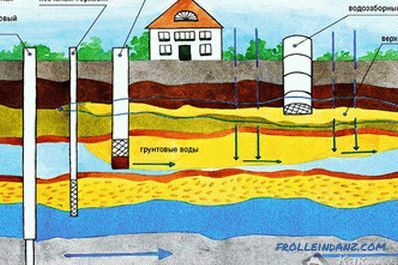 The wall material defines one of several technological methods for attaching rafters to walls. If the walls are built of logs, they are attached directly to the upper crown of the wall. A feature of this installation is that such walls during the first years have significant shrinkage, sometimes reaching 10% or more (this depends on the quality of the wood used and the professional skills of the builders). Therefore, rigid attachment of rafters can lead to heavy loads. Such loads can even squeeze the upper rims of the walls. In order to prevent the destruction of the walls from exposure to the rafters, they use special sliding fasteners. Such fasteners are 2 metal plates, one of which is attached to the rafters, and the other to the upper log of the wall. The plates are interconnected so that they can move freely along the line of the truss foot. It allows the leg to shift relative to the crown logs, preventing its destruction. When installing the erection of truss systems for structures with frame walls, their truss legs should rest on the top piping of the walls. Considering the minimal shrinkage of such walls, the rafters are fixed by means of a tie-in with a tooth. In order not to change the bearing capacity of the notched inhaling, the notch in it should not be more than 1/3 of its height. Often also uses spike connection. In other cases, these 2 ways are combined. When building a truss system of structures whose walls are built of stone or brick, a power plate is installed on top of them. This special bar redistributes the exact load from the rafters onto the wall. Mauerlat is immured in the upper part of the wall or put on steel studs embedded in the masonry. At the same time between her and mauerlat necessarily fit waterproofing. In the course of the construction of the truss system, the required reinforcements are made by struts and struts, as well as tightenings are mounted. The design of the trusses depends on the width of the building (Fig. 4). 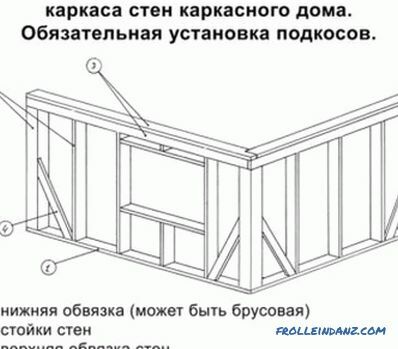 It is advisable to immediately connect among themselves all installed trusses before the crate is installed. It should be remembered that the laying of the rafters and the installation of the batten is the main stage in the construction of the entire roof, therefore it is necessary to take responsibility for the process of their installation. Mechanical strength, reliability of the roof and aesthetics of its appearance will depend on this.